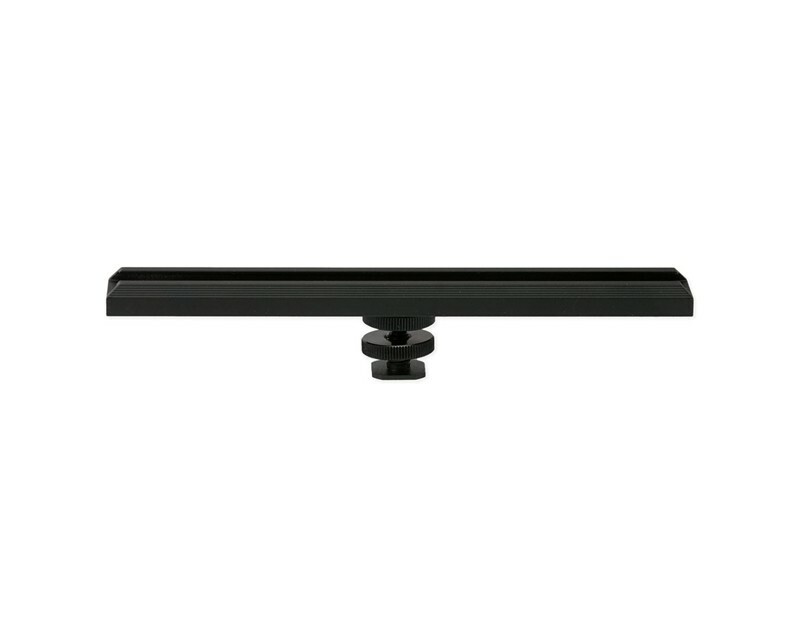 The Rock Solid Extension Bar 8″ (200mm) accessory rail allows the mounting of multiple pieces of photography or video gear (microphones, recorders, transmitters, Look Lock, lights, flashes, etc.) to a camera or arm in a secure, convenient, and compact manner. The rail connects any camera’s hot shoe with the included double locking hot shoe adapter or position the extension bar on any ¼”-20 compatible articulating arm, EasyGrip, or light stand. The Rock Solid Extension Bar features a cold shoe channel for multiple accessories as well as three (3) 1/4”-20 female threads for mounting options and versatility. Attach any device with a male 1/4″-20 thread, such as the JerkStopper Thread Mount to secure cables and protect ports. *Listing includes 8″ Rock Solid Extension Bar & hot shoe adapter. All other items pictured sold separetely.